Under Michigan child custody laws, each parent has the right to be an actively involved parent. Unfortunately, in many Michigan child custody cases, emotions get in the way of reasonable arrangements. Child custody issues often make parents blind to finding reasonable solutions. The Wixom Family Law attorneys at Kathryn Wayne-Spindler & Associates know what the judges expect and we work hard to find the right solution for you and your children. Michigan child custody laws recognize that when parents separate or divorce, it is in the best interests of the children to retain strong relationships with both parents. Parenting time should be of a frequency, duration and type reasonably calculated to promote this strong relationship. A fair and equitable overnight plan is crucial to preserving the rights of parents to stay involved in their children’s lives. Whether you believe your children will be in the best environment if they see each parent equally or if they should live primarily in one household, we can develop the right plan for you. Custody of minor children is one of the most important discussions to have with your attorney. The terms ‘Physical Custody’, ‘Joint Custody’, and ‘Legal Custody’ may be new to you. We can explain and guide you as to what these terms mean for you and your children’s future. When parents disagree, your case may be referred to the local Friend of the Court, or similar agency, for review or recommendation. The Friend of the Court is a state agency designed to assist judges making tough decisions regarding the welfare and placement of your children into Michigan child custody arrangements with one or both parents. It is important for you to know how the Friend of the Court operates and understand what it looks for when assessing your family’s dynamics. A Friend of the Court assessment and recommendation is not final and can be reviewed by the judge. It does hold great weight and can significantly influence your case. (a) The love, affection, and other emotional ties existing between the parties involved and the child(ren). (b) The capacity and disposition of the parties involved to give the child love, affection, and guidance and to continue the education and raising of the child(ren) in his or her religion or creed, if any. (i) The reasonable preference of the child(ren), if the court considers the child(ren) to be of sufficient age to express preference. child(ren) and the other parent or the child(ren) and the parents. (k) Domestic violence, regardless of whether the violence was directed against or witnessed by the child(ren). The custody factors are an Act which was instituted in 1970 and is known as the “best interest factors of the child”. What if My Children Aren’t Safe? There are times, however, when an overnight plan is not in the children’s best interests. Your ex-spouse or partner may struggle with drug addiction or alcohol abuse. In these cases, there are options. For example, the parent picking up the children for an overnight or visit can be ordered to pass a Breathalyzer or drug test before putting the children in the car and when the children are returned. If he or she fails, then parenting time is canceled. Similar safeguards can be put into place where other dangers are present and need to be addressed. Another option is Supervised Visitation time where a social worker remains present during visits with a recovering drug or alcohol abuser. 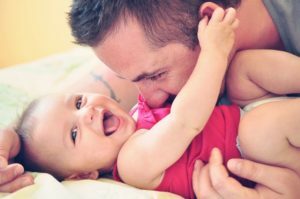 When is Sole Child Custody Possible? Is Court Permission Necessary for Changing my Child’s Schools? As children get older, extracurricular activities and sports are often a more prominent part of their life. As children take part in extracurricular activities, sports, travel/ invitational sports or even multi-day camps, these tend to cause disputes between the parties that can present questions. When does an extracurricular activity or sport interfere with the allotted time allowed for each parent, and how will that be settled? Who is going to pay for the extracurricular activities or sports? Who is going to drive the children to and from the extracurricular activities or sports? If any one of these disputes needs to be resolved in the court of law, trust Kathryn Wayne-Spindler & Associates to handle your case. Sometimes parents need or want to move. Michigan requires a parent who wants to move his or her children to prove that it is in the family’s best interests. This statute specifically states that the children are the primary focus in determining best interests. The statute applies to a move greater than 100 miles. If there is domestic violence, the statute may allow a move to a safe location pending the court’s determination. Quality of life: Whether the legal residence change has the capacity to improve the quality of life for both the child and the relocating parent. Typically, it is a job opportunity with increased income that motivates the move. Depending on the financial situation of the family, this may increase the child’s quality of life. The prospective new income should be considered as it will relate to the child (if all of the child’s needs are already met, will the new income increase the quality of life?) and should be weighed against the increasing cost of travel for parenting time and the relative cost of living in Michigan as opposed to the proposed location. In addition, the court may look at the pay rate for similar jobs in this area. 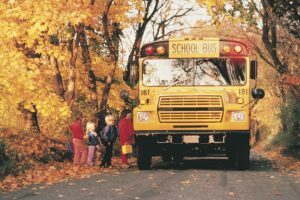 The court may consider whether the schools or the extracurricular activities are comparable and take into account any specialized medical care and social ties. The uncertainty of new circumstances must be weighed against the desirability of maintaining the child’s current situation. The presence of extended family in the proposed area must be weighed against the presence of a parent in Michigan. The history of involvement, as opposed to the Michigan parent’s willingness and ability to provide the same sort of assistance as that proposed by the out-of-state family, should be weighed. The motive: The degree to which each parent has complied with and utilized his or her parenting time. The court must consider whether the petitioning parent’s motive is inspired by a desire to frustrate the other parent’s parenting time. How the parent-child relationship will change: The degree to which the court is satisfied that, if the court permits the legal residence change, it is possible to order a modification of the parenting time schedule and other arrangements governing the child’s schedule in a manner that can provide an adequate basis for preserving and fostering the parental relationship between the child and each parent; and whether each parent is likely to comply with the modification. The first step is to assess the quality of the relationship before the move between the child and the non-moving parent. This analysis should include the frequency of contact, reliability, attachment, quality and quantity of care provided, and whether the parent participates in all aspects of child rearing. The second step is to look at the developmental age of the child. A child’s ability to cope with the move and to maintain a relationship with the non-moving parent will often vary dramatically based on the age and stage of development of the child. There is significant research on the developmental needs of very young children and the process of attachment to significant figures in their lives. Children form significant attachments in the first five years, and they do this through frequent contact with competent caregivers. Very young children do not have the ability to remember adults whom they do not see on a regular basis. Adolescents can manage longer separations from either parent and may travel long distances more easily; they may be unhappy about leaving home; however, and may have strong opinions about the move. An adolescent’s opinion about the move could carry significant weight. Domestic violence: Regardless of whether the violence was directed against or witnessed by the child. The Michigan Child Custody Attorneys at Kathryn Wayne-Spindler & Associates work aggressively on your behalf to achieve results that are in your children’s best interests. Contact us at 248-676-1000 to discuss your divorce and Michigan child custody issues today.